When Tommy Pham was with the Cardinals he complained so much about not getting paid enough among other things, that management got tired of his act and shipped him off to the Rays. Now he is complaining again, this time about lack of fan support in Tampa Bay. How big of a tool is this guy and how long will it take before the trading Rays front office decides to dump this steaming pile of negativity? Oh, they'll dump him soon enough, maybe for a tool shed to be named later. I've told you of my scenario. 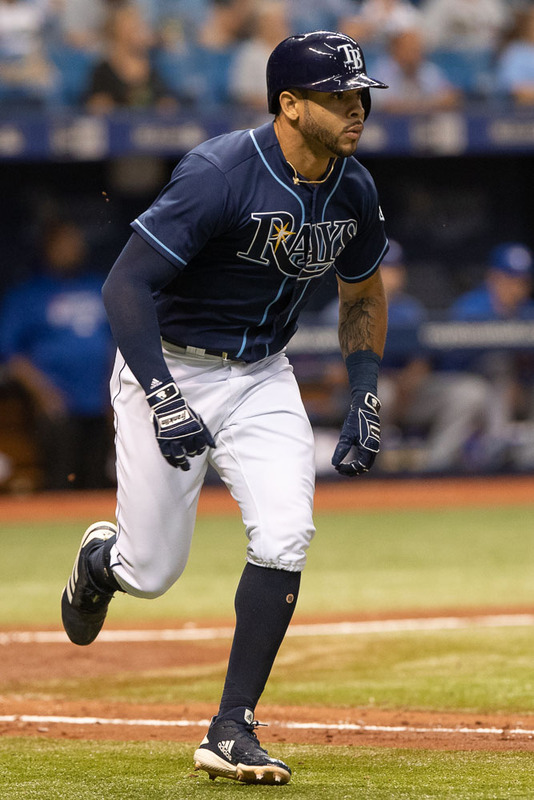 The Rays brought him in, I'm convinced, because Kevin Kiermaier is so injury prone, and they need someone else who can play center. But he starts his arbitration in 2019, and he'll soon price himself out of this joint. That's the funny thing here: Pham is talking about moving to another city, and I'll wager he won't be with the franchise long enough to see it. I'll be honest, Larry. It rarely bothers me when players squawk about attendance. I think that's part of the price for, well, not having much attendance. My concern is this: Does the situation with the empty seats fester until Pham isn't giving his best? If he wants to whine about the lack of attendance, and it doesn't affect his on-the-field play or his interaction with his teammates, I'm okay with it. But if it starts to affect either, well, it isn't going to change because of the play of Tommy Pham. Look, we all know the attendance problems. We've talked about it, we've guessed as to the reasons why, we've wondered if it will ever be any better. But for the short term, at least, it isn't going to be significantly better. I understand why it's irksome. In baseball, there are sergeants who think they are generals. Merely the fact that a guy who just got off the plane thinks he's qualified to speak to an age-old problem is kind of annoying. The rest of us have lived with the discussion of the problem for years. Take a number, Tommy. But Carl Crawford and Evan Longoria once spoke to the attendance problems, too. And they continued to produce for a long time. I'd just put it in the Tommy Pham file, Larry. You know, the one where you decide whether he's a good guy or a bad one. Even if he's right, how does this help the Rays or Tommy Pham? So far, Pham is on his way to giving fans a reason not to buy tickets instead of to buy them. Why are the NFL Pro Bowl selections made with two games still remaining in the season? Scott, you know how I feel about that. I hate all awards that are decided before the season is over. That includes Heismans, baseball MVPs and coaches of the year. Heck, to me, the playoffs are a big part of the argument. I think I've told you about having my Heisman vote pulled because I waited until after the Orange Bowl game to vote for either Chris Weinke of FSU or Josh Heupel of Oklahoma. I thought it was close enough that their game should decide it. Certainly, in the age of email, when you conduct a vote in an hour, there is no reason to rush. What? There aren't flights to Orlando a month out? Of course, it doesn't matter much locally, since no Bucs made the Pro Bowl. If one from Tampa Bay (or elsewhere) gets in as an alternate, they're still going to make travel plans after the season. My suspicion is that the game wants the thump factor. They want coaches gathering their players and telling them they made the Pro Bowl. They want fans paying attention to the selections on TV. They want two weeks of arguing about "snubs" before the playoffs start. Really, there is no reason not to wait and get it right. Is there? You had a piece the other day on leadership. Who were the best leaders in the history of Tampa Bay sports? Who were the worst? I mentioned a few of the good ones. You probably recognize their names. They were great players who had different ways to lead, but their teams followed them to success. I'd rank them this way. Pham seems like one of those guys who is never happy about anything. After some of his post game interviews last season, even when things were going well, he came off as a sourpuss. I don’t know how that wouldn’t affect the clubhouse eventually, especially if he isn’t playing well. The good vibes from the Rays team of last year has been stripped away. Mallex Smith, CJ Cron, Jake Bauers were all guys that appeared to be good teammates with positive attitudes that fit in well in the clubhouse. Now we have this tool Pham, who wants to complain 24/7. I do remember Longoria and Price complaining about attendance briefly, but they quickly learned there is nothing to be gained from that. Who wouldn’t be disappointed by the attendance in this town but you don’t call out the fans who do come to the games and support the team. If you want to complain privately that’s one thing but only a jerk like Tommy Pham would go public with comments like this. But like you said nobody stays here long enough to make a difference anyway so what does it matter. The indifference by the fans is only going to grow until the team finally does leave. The window for getting things done to keep the team here is virtually closed shut. A lot more people I know are starting to care less about the Rays because in their mind it’s only a matter of time before the team is gone. Still nobody who has ever supported this team wants to hear garbage about lack of fan support from the likes of Tommy Pham. It may not bother you but as a fan of this team, it does bother me. I agree. There was nothing incorrect in what Pham says, but he’s not the one to address it. Longo and Price had a lot more reputation than Pham does, so why should he sound off. Does he think he’s going to shame fans into coming? Does he think he’s going to speed up the team’s departure? There is nothing to be gained by his whining.